In a good month, I will give all the dolls a wardrobe change, maybe change what direction they’re looking in, and even arrange them into some new photos. In a busy month, however, I’m more prone to not doing things like that. 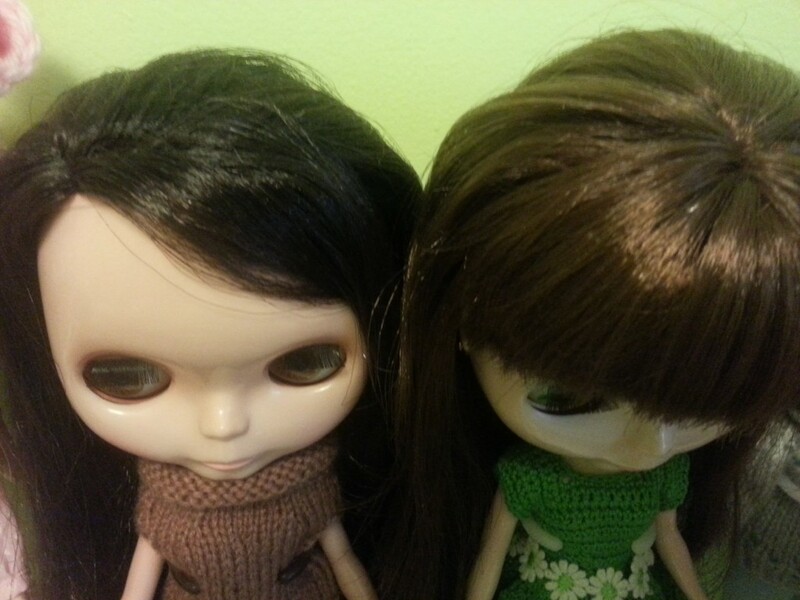 The majority of my dolls are outside of enclosed places, so they suffer the consequences of gaining a thin layer of dust on top of their large-for-their-body-size heads. Sometimes I think it’s because the weather perked up just a little bit, and then became rainy again. That and I’ve been a slump since after finals because there’s just so much to do, and so little time! My ‘me’ time after work has now consisted of doing schoolwork, and while working is great (work = income! ), it also means that there’s only so many hours in a day that I can dedicate to things outside of work, and that time has been earmarked ‘school’ and ‘sleep’. If Sophie was reading this, she’d probably kick me with her tiny foot, putting sleep ahead of Blythes! What a monster I am. But luckily (or unluckily…?) work will not last forever, which means that I’ll be back to procrastinating on schoolwork and full-time doll time very, very soon. Which is something to look forward to!